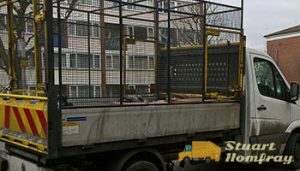 Stuart Homfray easily ranks among the leading rubbish removal companies in London. We cover an impressive list of districts in the UK capital and we regularly enjoy excellent customers’ reviews. Our experience in the industry is remarkable and the training of our staff is extensive. Our junk clearance services in London are unbeatable when it comes to affordability, quality, convenience and flexibility. We can be hired for simple domestic rubbish removal jobs, as well as for large-scale commercial and builders waste clearances. Our pricing policy is hard to match. It not only keeps our prices low, but it has also eliminated unexpected expenses and surcharges. With us, what you see is what you get and what you get is what you pay for. To make things even easier for our clients, we provide them with custom quotations that are estimated on the basis of their financial abilities and personal preferences. Our trucks can be used for the removal of old furniture, broken home appliances and electronic devices, unwanted books, clothing, construction waste, etc. As a result, we are able to provide our London clients with an extensive range of premium quality junk clearance services. The most popular of them include furniture disposal, commercial waste collection, as well as clearance of offices, homes, gardens, builders waste and more. For our customers’ convenience, our trustworthy and skilled staff can be booked on any day of the week, since we are open on bank holidays and weekends. We maintain a non-stop client support service and have the readiness and capacity to respond to bookings made on a very short notice. We recently (as of the Spring of 2017) started doing rubbish collection and disposal in SW19 and SW20 – Wimbledon .